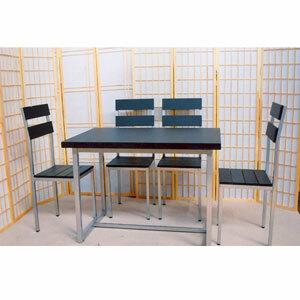 Silver Metal and Composite 5 Piece Dinette Set. Strong Construction. Easy to assemble. Extra High Back Chairs can be purchased separately. Table Size: 30 In. x 48 In. Chair Size 38 In.